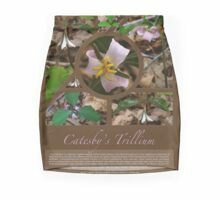 The Catesby’s is a delicate, slightly nodding Trillium which blooms from April through June in the southeastern piedmont of North Carolina, Georgia and Alabama and the along the lightly shaded woodlands of the Appalachian foothills. 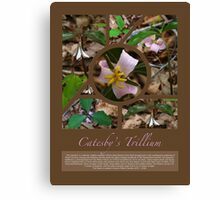 This beautiful wildflower is distinguished from the White Trillium, or Trillium Grandiflorum, by its narrower, sickle shaped petals and leaves and its nodding bloom of three white petals with pinkish casts which usually appears in pink with light traces of white, (The all white Catesby’s is fairly rare). 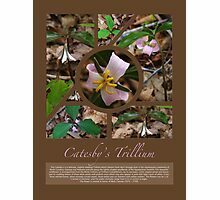 It has three whirled leaves, three strongly curved sepals, three petals and six stamens with yellow anthers. 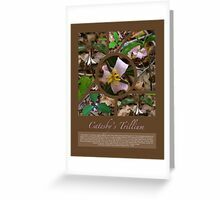 The flowers can be 2 to 3 inches in diameter, and the stalks normally range from 6 to 12 inches in hight. 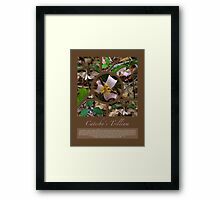 This poster shows the gradual maturation of the flower from before the bloom to full blossom. The photograph in the upper right corner is an example of the normal coloration of the bloom. 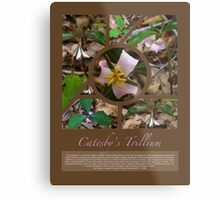 The rest of the photographs are of a white Catesby’s Trillium which is fairly rare. 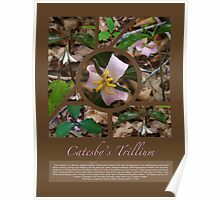 This particular white bloom had a very light shade of pink along the veins of the petal which gradually grew more pronounced as the petals matured. 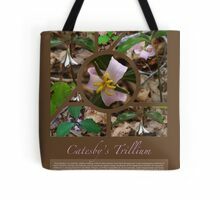 These photographs were taken in a forest on the northern outskirts of Habersham county near Sautee, GA.
this is fabulous, unfortunately we can’t accept it to the Wildflowers group. But it is a super job and I wonder what program you used to create it. Thanks Vickie. 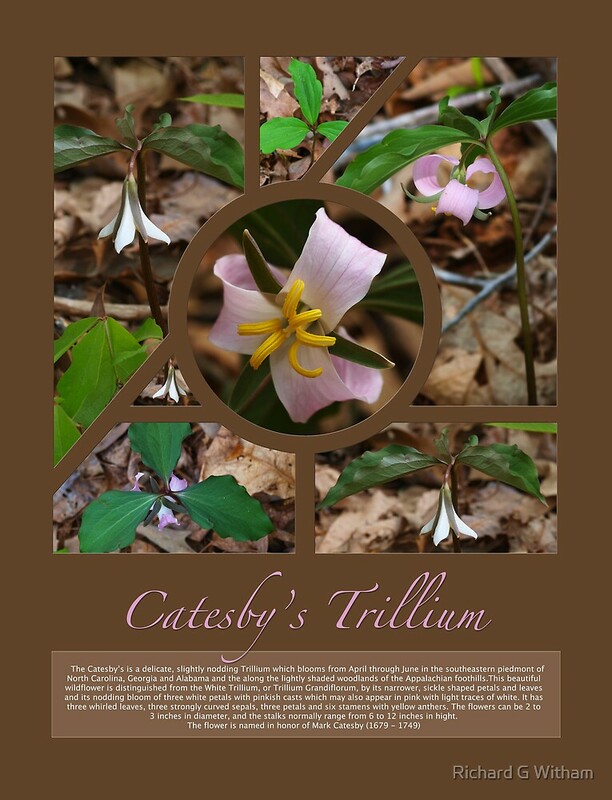 It’s a shame you can’t accept the poster in the group because it shows the gradual maturation of the flower from before the bloom, (Upper center) to fully blossomed, (Center). 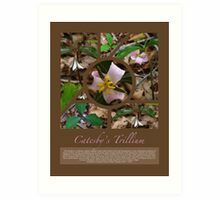 All the photos in the poster of the same flower except for the one in the upper right corner which is of an adjacent flower with normal pink petals. 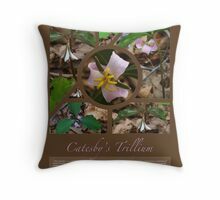 I added that photo to show how one would normally find this flower in the forest. I agree. I will accept it for that fact. I don’t accept anything photoshopped, but this one is a great example as you say. I did think later I should have taken it. Plus you’ve added the great information. Fantastic poster work Richard with such great information! This is awesome Richard!! Your work is absolutely outstanding!! You put so much effort into these images and the information added is so well written!! You could write a book with these images and writing!! Well done!!! Brilliant work Richard !!!! love it !! instant fave !!! Presented in such creative, fine way.